quality for improved visibility and safety. Inaugural participant North Carolina State University along with Marquette University, University of California at Santa Barbara, University of Arkansas and Tianjin Polytechnic University in China have committed to evaluating and deploying LED lighting in areas such as offices, dormitories, parking garages, walkway lighting and streets across their campus infrastructures. Each of the participating universities is conducting LED lighting pilots to determine the cost and environmental benefits of switching to LED lighting in campus applications. - NC State University installed LED recessed can lighting from Cree in the chancellor's office and a dormitory, and is installing LED parking garage lighting from BetaLED. - Marquette University installed LED T8 replacements from LED Dynamics in the vice president for administration's office and is installing LED recessed and task lighting. - U.C. Santa Barbara installed 23 LED streetlights from BetaLED on a campus street and reports that compared to its traditional streetlights, it is achieving a 44 percent reduction in energy use as well as better light distribution and color rendition. - Tianjin Polytechnic University installed 1,500 LED streetlights designed by its graduate students on the campus' main roadway. Details of each university's LED lighting pilots and installations are available on the LED University web site: http://www.leduniversity.org/. Joint venture partners SkyPower Corp., a Lehman Brothers Company, and SunEdison Canada announced today the official groundbreaking of First Light, North America's largest solar photovoltaic energy park to date, located on approximately 300 acres of land in Lennox & Addington County, Ontario. Construction of the 19-megawatt (MW) solar park is anticipated to be completed by the end of 2009. Local communities will benefit from clean renewable energy sufficient to power more than 2,000 homes annually. The Government of Ontario in concert with the Ontario Power Authority, which launched the innovative Standard Offer Program in 2006, have created a unique program that provides a platform for stimulating investment and job creation in the renewable energy sector. The historic groundbreaking of First Light today demonstrates the strong support of the provincial government, municipal leaders, and communities and is a clear indication that Ontario's renewable energy targets are achievable. First Light is an important first step of many towards delivering secure, sustainable and clean energy to Ontarians for generations to come. First Light will be built in two phases. The power generated from the project will be distributed through the Hydro One utility, providing clean energy to customers in the Township of Stone Mills for 20 years. The environmental and health benefits of the two-phase facility are substantial. It is estimated that First Light will reduce yearly carbon emissions by an amount equal to displacing 4,200 cars and light trucks each driving 19,000 kilometers per year. "This is an appropriate and valuable way to make use of this property," said the Reeve of the Township of Stone Mills, Debbie Thompson. "We are proud to say that Stone Mills Township will be home to North America's largest solar energy park." "We are happy that our community will be contributing to the generation of clean, green energy for Ontarians," said the Warden of Lennox and Addington, Gord Schermerhorn. "This project is a welcome addition to our county's industrial base and we look forward to welcoming similar type projects in the future." "The province commends SkyPower and SunEdison Canada for breaking ground on this very significant project," said Ontario Minister of Energy Gerry Phillips. 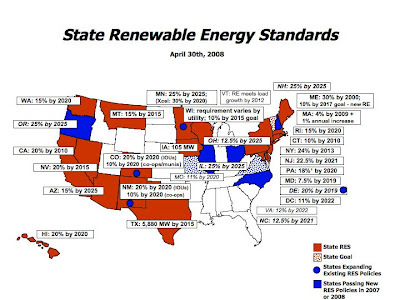 "In just over one year, the Renewable Energy Standard Offer Program has already exceeded its 10-year target of garnering 1,000 megawatts of contracted generation. We look forward to the program yielding success stories for years to come." "Lehman Brothers is proud to be part of this project, and we salute the Province of Ontario and its leaders for their exemplary commitment to renewable energy. The issue of climate change is arguably one of the most important challenges we are facing, so it's inspiring to see such a wide range of constituencies - government, business, investors, and citizens - come together to build a mutually beneficial solution. Through innovation, creativity and hard work, SkyPower, SunEdison and the Province of Ontario are 'making dirt fly' and, most important, putting assets in the ground to help mitigate climate change," stated Theodore Roosevelt IV, Managing Director at Lehman Brothers, and Chairman of the Firm's Global Council on Climate Change. "This is an important day for solar energy but an even more significant moment for Ontario. Our continued commitment to solar energy is clear and our desire to make a difference for the generations to come is the motivation behind the tireless efforts and substantial investments we have made and continue to make in Ontario and other forward thinking jurisdictions in the world. We are fortunate to have the expertise of our partner SunEdison, whose experience, vision and approach to utility-scale PV solar projects has led to the successful design and groundbreaking of this project today," said Kerry Adler, CEO of SkyPower. "First Light is possible because of a real commitment by the community and the leadership of Ontario to deliver clean renewable energy," stated Tom Rainwater, CEO of SunEdison. "We believe in working with strong local partners worldwide like SkyPower. The success of our joint venture is evidenced today with the groundbreaking of First Light. And the key to making this happen has been working hand-in-hand with the local community that will be home to these clean power plants." ConsumerPowerline, Inc. (www.consumerpowerline.com), a leading strategic energy asset management firm, today announced that the California Public Utilities Commission (CPUC) has approved its executed contracts for third party demand response resources for Southern California Edison (SCE) in central, coastal and southern California, for the 2008 – 2012 time period. SCE was advised by the CPUC that it had approved ConsumerPowerline's contracts based upon individual cost-effectiveness scores and "pay for performance" demand response business model. Known as "Ancillary Services Coalition"* in California, ConsumerPowerline is one of the largest non-utility providers of demand response solutions. The CPUC reviewed eight demand response contract proposals from SCE in January, and scored each contract by how the solutions provided firm, reliable price responsive resources. On March 13, the CPUC filed its final decision approving four of the eight contracts, stating, "We note that the two Ancillary Services Coalition, LLC Contracts have the highest individual cost-effectiveness scores and are structured in a superior way to the other contracts such that a greater portion of incentive monies earned is through program participation performance, as opposed to enrollment of capacity." With the SCE contracts, ConsumerPowerline will provide demand response services to its electricity customers, enabling customers to participate and reduce their electricity consumption during critical times. This process will help reduce energy usage on the grid, and in return, electricity end-users will receive payments for their participation. "We are extremely pleased that the CPUC has approved these two contracts with ConsumerPowerline," said Lawrence Oliva, SCE director of tariff programs and services. "We are strong supporters of business arrangements with third party providers like ConsumerPowerline as they afford SCE an efficient and cost-effective mechanism to reduce peak energy use while providing customers with adequate compensation for their participation in the program." The capacity nominations under the SCE and ConsumerPowerline contracts grow over time up to 95 megawatts in the summer of 2012. "Now that demand response solutions are more widely deployed as critical assets in providing reliability efficiently, the business approach needs to provide cost-effective value to all stakeholders – participants, operators, and most of all, ratepayers," noted Gary Fromer, CEO of ConsumerPowerline. "Our focus is always to deliver innovative solutions that achieve wide participation at the least cost to stakeholders." Provincial power authority signs contracts with U.S. middlemen to co-ordinate demand reduction during peak times: Two U.S. power-management companies, Boston-based EnerNOC Inc. and ConsumerPowerline, of New York City, announced last week they each had signed five-year contracts with the OPA to arrange a 25-megawatt reduction in demand from heavy users on those days when the electricity system faces a surge in demand. APC, a global player in integrated critical power and cooling services, announces the first Energy Efficient Solutions Center in its new 25,000 square feet premises at Techpoint, Ang Mo Kio in Singapore. This is a significant step towards its expansion and commitment to energy conservation, and contributing towards the national aim of promoting an energy efficient Singapore. According to Gartner, energy costs will emerge as the second-highest operating cost (behind labor costs) in 70 percent of existing data center facilities worldwide by 2009. Improper planning of energy management, especially for data centers, can dramatically increase operation costs, decrease performance of the facility, as well as increasing the risk of downtime. APC has proven its commitment dership in energy efficiency initiatives by building the first-of-its-kind "APC Energy Efficient Solutions Center" in Southeast Asia. It enables business visitors and partners to have a practical "hands-on" experience and to easily visualize "what-if" design scenarios, taking into consideration factors such as power consumption, costs, expected hardware usage and current regulations, before committing to any IT infrastructure investment in their own companies. The Solutions Center integrates various solutions from Schneider Electric companies including APC InfraStruXure data centre solutions, TAC building management system, Schneider Electric power monitoring system and CLIPSAL lighting control system. George Kong, ASEAN Vice President, APC, said, "We look forward to bringing our expertise in building an energy efficient enterprise to companies in Southeast Asia through this Solutions Center. Our initiatives support the nation's drive to improve energy efficiencies, such as the Energy Efficiency Programme Office set up by the National Environment Agency in Singapore. "The proof of the pudding is in the eating and we are providing the Solutions Center as a platform for companies to familiarize with advanced concepts in power and cooling management that will help them save energy costs by up to 30 percent and future-proof their hardware investments. "The APC Energy Efficient Solutions Center is located within the new APC office, in the same building as its parent company, Schneider Electric. The new office is about half the size of a football field, and can accommodate more than 200 people. The larger space enables APC to build a Solutions Center, dedicated to increasing the awareness and adoption of energy efficient systems for IT infrastructures in both local and foreign companies, especially data centers that demand high energy consumption due to power and cooling needs. According to IDC, over the next five years, the expense to power and cool the worldwide installed base of servers is projected to grow four times compared with the growth rate for new server spending. IDC expects server power and cooling costs to increase at an 11.2 percent CAGR to $44.5 billion over the forecast period. This expense is equal to 70 percent of the overall new server spending in 2010. Some corporate customers in Singapore who are already partnering or working with APC and MGE to streamline their power and cooling at their data centers include Ascendas, Barclays, Credit Suisse, Daiwa Securities, Deutsche Bank, Lehman Brothers, Reuters, Sanofi Aventis, Sentosa Leisure Group and Tokyo Marine. Spanish utility Iberdrola is now the world leader in wind power, says new rankings released by Cambridge, Mass.-based Emerging Energy Research. Iberdrola owns 6.9 gigawatts, according to EER, adding more than 1.55 gigawatts in 2007. EER said most of that growth is attributed to new construction in Spain and the United States and also to the firm's acquisition of ScottishPower. Mergers and acquisitions accounted for about one-third of total wind ownership growth among Europe's top 20 wind owners in 2007, EER said, though Iberdrola will likely continue to lead the European wind power market in 2008, analysts predicted, with sustained growth in its European markets -- Spain, France, Italy, Poland, and Britain. Chinese power generation firm DaTang joined LongYuan in representing the recent Chinese wind market growth in EER's global rankings. Analysts said Chinese state-owned companies are well-positioned in the country's wind power sector due to the importance of government-sponsored wind projects in meeting emissions reduction goals and increased demand for power. The US economy is still predominantly oil-based, but wind power advocates voiced optimism Tuesday that change is in the air as big states like California seek to boost renewable energy. Barbara Hayes, executive director of the Sacramento Area Commerce and Trade Organization, said state-backed laws have set "very aggressive" renewable energy goals. Hayes was in Washington with a large delegation of business and community leaders from California seeking to persuade federal lawmakers to extend increased support to so-called clean technologies such as wind and solar power. Paul Misso, the chief executive of California-based Marquiss Wind Power, said he was working hard to change the social perceptions of placing a compact wind turbine on a roof to generate renewable electricity. Misso's firm, which has only been in business since 2006, markets framed roof top wind turbines that pivot into the prevailing wind for commercial buildings. "Rooftops have very turbulent winds. It's a great place to harness the wind for power generation," Misso said, during a break at a Washington hotel from back-to-back business and lobbying meetings. Hayes said she is encouraged by the number of new clean technology firms setting up business in and around Sacramento, California's state capital. She said the western city has opened its doors to clean technology development and start-up firms like Marquiss Wind Power. The US wind power industry is growing, but it accounts for a small share of overall power generation as most American households and businesses still derive their power from more traditional energy sources such as coal and nuclear power. America's wind energy industry expanded its total wind power generating capacity by 45 percent in 2007, but wind farms still only generate just over one percent of the US electricity supply, according to the US Wind Power Association. Hayes said the delegation was working hard to grab the sustained attention of Congress. "We're here as part of a regionwide effort. There are about 350 business and community leaders on the trip this year. They are lobbying members of Congress on outstanding issues, one of which is clean and green technology," she said. Misso said it was about time clean technology firms won some of the same incentives offered to the oil and gas industry. "I think when you see the next administration switch over it will eliminate the roadblocks for changing some of the incentives from oil incentives" he predicted, referring to November's fast-approaching presidential election. Wind power advocates say record high oil prices are also encouraging some businesses to consider alternative and more cost effective power supplies, and competition among clean technology providers is stiff. Thule Inc., a leading US manufacturer of transportation accessories, said Tuesday it had agreed a contract with American Capital Energy to install a solar photovoltaic system on the roof of its corporate headquarters in Seymour, Connecticut. The transportation accessories maker said the high tech solar equipment will supply about 26 percent of its headquarters' total electrical needs, helping to offset its power bills as well as improving the environment. Marquiss Wind Power is marketing 5- and 10-kilowatt wind turbines which cost 29,000 and 59,000 dollars respectively and the company hopes to sell its roof top wind turbines to customers in Chile, Israel and India. One potential roadblock Misso is trying to knock down is local US ordinances barring large structures being sited on commercial roofs. Marquiss's wind turbines are about 17 square feet (5.1 square meters), with a 12-foot (3.7 meter) diameter fan in the middle. Clear Skies Solar, Inc. (OTCBB:CSKH) today announced a $20 million agreement, subject to financing, with Power Cube, a company located in Utter Pradesh, India to develop and construct the first of several solar energy projects in India. mill and support the community's energy grid system, providing much-needed energy on this particular line. "We recognize that the continued use of fossil fuels negatively impacts both the economy and the environment," said Power Cube Chairman Mohan Kejriwal. "As such, Power Cube is determined to meet a portion of India's energy requirements by developing several large solar photovoltaic projects (PV Projects) which will generate electricity from sunlight." "India represents the first of many untapped markets that Clear Skies Solar plans to enter in 2008 and 2009," said Ezra Green, Chairman and CEO of Clear Skies Solar. "Recognizing the role that solar power will play in the global search for cleaner and more abundant energy sources, Clear Skies Solar has built the infrastructure necessary to support this type of international expansion and to develop large-scale projects at an accelerated pace in order to support global power needs." "While international projects pose special challenges for solar energy providers, such as identifying proper high voltage lines and the ownership of the property for the system to be installed," added Green. "Our unique ability to overcome such challenges makes Clear Skies Solar the natural choice for clients with challenging power needs." "Clear Skies Solar has shown that it has the ability and innovative construction techniques to execute this contract, and we look forward to this project beginning in October of 2008," added Kejriwal. "It is the goal of both parties to complete the construction of the five megawatt PV Project and for it to be operational before March of 2009." Clear Skies Solar will provide the technology, engineering and construction services needed to create the PV Project and will also be prepared to provide the operation and maintenance services needed. SolarCity, a leading provider of solar energy systems, today announced a new financing program backed by Morgan Stanley that will change the way residential solar is purchased. SolarLease, the first residential financing program to be provided directly by an installer, offers homeowners an affordable way to go solar without significant upfront costs, and adds exclusive benefits not available with cash purchases. SolarLease makes solar power an economically attainable option for most homeowners. Because SolarCity owns the solar panels, the company can gain access to commercial tax credits and apply the savings to customer financing. Financing solar energy systems therefore becomes significantly more affordable, as monthly payments for most customers are less than their previous utility charges. In addition, the upfront payment is significantly less: a four-bedroom homeowner can install a solar system for an initial payment of about $2,000 where previously the same system would require a $25,000 cash investment. SolarLease makes going solar easier as well as more affordable -- with financing, installation, performance guarantees and lifetime support all from one vendor. "We've wanted to go solar for quite a long time," said Don Crevy, an early leasing customer. "With SolarLease we can immediately get all the advantages of solar energy ... without blowing our budget." "It's a total win-win!" added Ginger, Don's wife. California is a vast and untapped market for solar: currently, less than one percent of California homeowners have installed solar electric systems. The SolarLease program has the scale to support thousands of residential solar installations and will rapidly accelerate the number of installations completed in the last 20 years. "Customers have called for alternatives to solar purchasing, and our innovations in financing will allow them to get the benefits of renewable energy quickly, easily and affordably," said David Arfin, Vice President of Customer Financing at SolarCity. "By eliminating the significant upfront capital requirement, solar power is now a truly affordable energy option," said Lyndon Rive, the company's Founder and Chief Executive Officer. "We believe this will spark a great wave of solar adoption. Dollar for dollar, if you had the option of using clean solar power or dirty coal power, which would you choose?" he said. In addition to SolarCity's deployment strength and installation expertise, SolarLease customers will greatly benefit by the company's ability to directly administer product financing through a banking partnership with Morgan Stanley. "We are excited about this joint venture opportunity and to help make solar energy an economically viable alternative to the residential consumer. This transaction will allow the consumer to source environmentally friendly power without having to make a large capital investment," said Aaron Lubowitz, Managing Director at Morgan Stanley. EDF Energies Nouvelles (Paris:EEN) announces the signing of a photovoltaic panel supply master agreement with Nanosolar and a $50 million investment in the company via EDF Energies Nouvelles Reparties. Silicon Valley based Nanosolar uses innovative technology to manufacture thin-film photovoltaic cells of Copper-Indium-Gallium-Selenide (CIGS) using a printing deposition process. Under the master supply agreement, EDF Energies Nouvelles will gain access from 2009 onwards to part of Nanosolar's production of solar panels. In a solar market in which cutting production cost represents a major challenge, EDF Energies Nouvelles is thus securing its supply of panels at competitive prices. These panels will in particular also help EDF Energies Nouvelles to expand its solar activities in North America. In parallel to the signing of the panel supply agreement, the Group, through its EDF Energies Nouvelles Reparties subsidiary, is also participating via a $50 million investment (EUR 31 million) in an equity financing completed by Nanosolar to further accelerate the company's production ramp.